Between 1880 and 1899, the Railway Statistics of America recorded that 44,620 people had been injured or killed due to railway carelessness. It was discovered that colorblind railroad employees who could not see the different safety signal lights caused many of the accidents. The railroad companies needed a way to quickly and easily test all their employees for color blindness. Dr. William Thomson created the device pictured here. It was extremely easy to use, economical, and practical in any testing environment. It was sold by major medical instrument stores for $10 (or about $250 today). An 1895 booklet of Popular Science explains how the devise works: Each piece of colored yarn is attached to the stick with a numbered hook, 1 to 40. 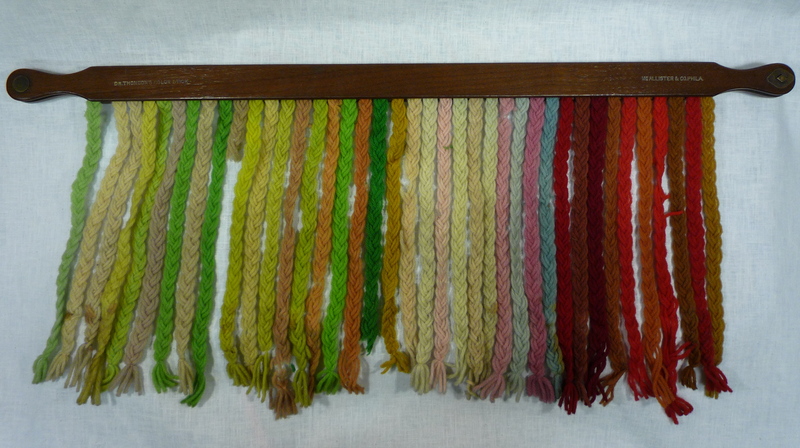 Odd-numbered yarns are the test colors (green, red, and pink) while even-numbered ones are contrasting colors. Closing the top section of the stick then covers the hooks and the numbers. The examiner would give the subject a loose pieces of yarn and ask him to select the yarn of a similar color from the stick. 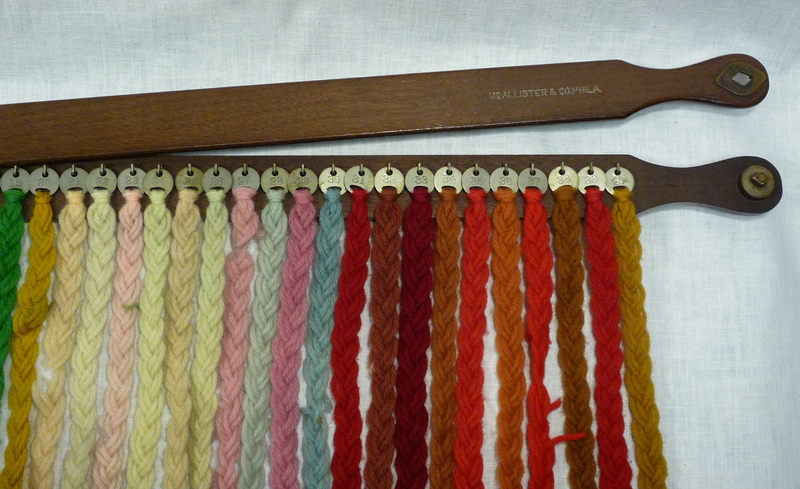 Choosing any of the neutral or contrasting colors (even-numbered yarns) is incorrect. The test works because a colorblind individual would not be able to distinguish the test colors from the neutral/contrasting colors. The examiner recorded the numbers of the colors the subject chose. This simple test allowed railroad supervisors to administer the test after minimal training, and each test required only two to three minutes. Those who passed the test required no additional evaluation. Employees who did not pass were referred to the railway surgeon for retesting and further evaluation. This allowed the doctors to focus on the small number of employees with questionable results, without having to spend time examining the vast majority who had normal color vision. The railway surgeon could tell which colors the employee had chosen by reviewing the numbers on the test record, often making a preliminary diagnosis even before examining the employee. Initial tests on the Pennsylvania Railroad showed that 4.2 percent of the employees had color blindness!